Sometimes, you might need to raise an invoice for a particular percentage or straight dollar figure of a project. For example, you might take 50% of an project or $2000 up front to secure booking. 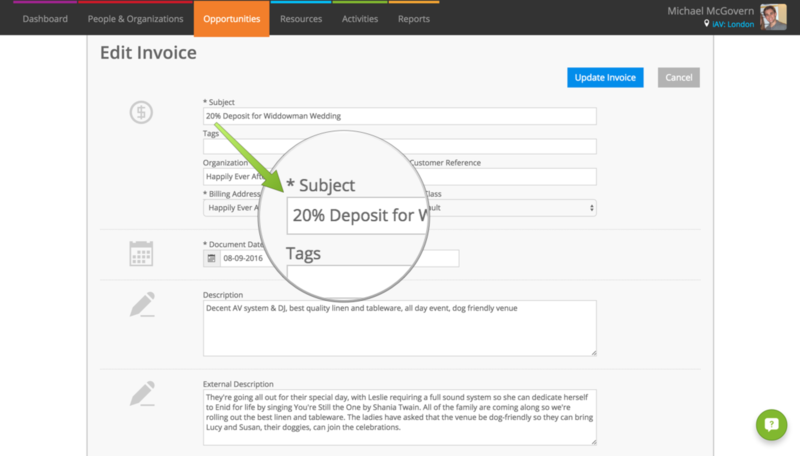 Use part invoicing to do this. 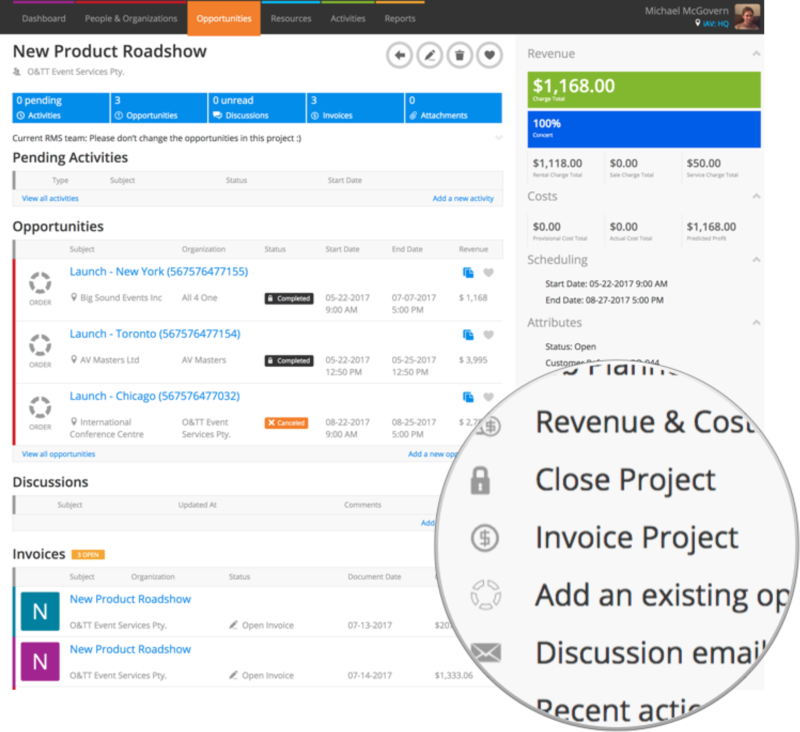 From a project, click Invoice Project under Actions to bring up the Invoice Options pop-up. Current will automatically select all of the opportunities on the project at the top of this screen. The invoice source for a part invoice from a project is always the project itself rather than any particular opportunity on the project. Edit the invoice using the pencil icon at the top and amend the Subject field. For example, you might specify this is a Deposit for the project. ⚠️ If you amend the price of the line created as part of the part invoice process, this will adjust the amount that’s been part invoiced on the project. If you add additional lines to a part invoice, that amount isn’t included in the amount that’s part invoiced. 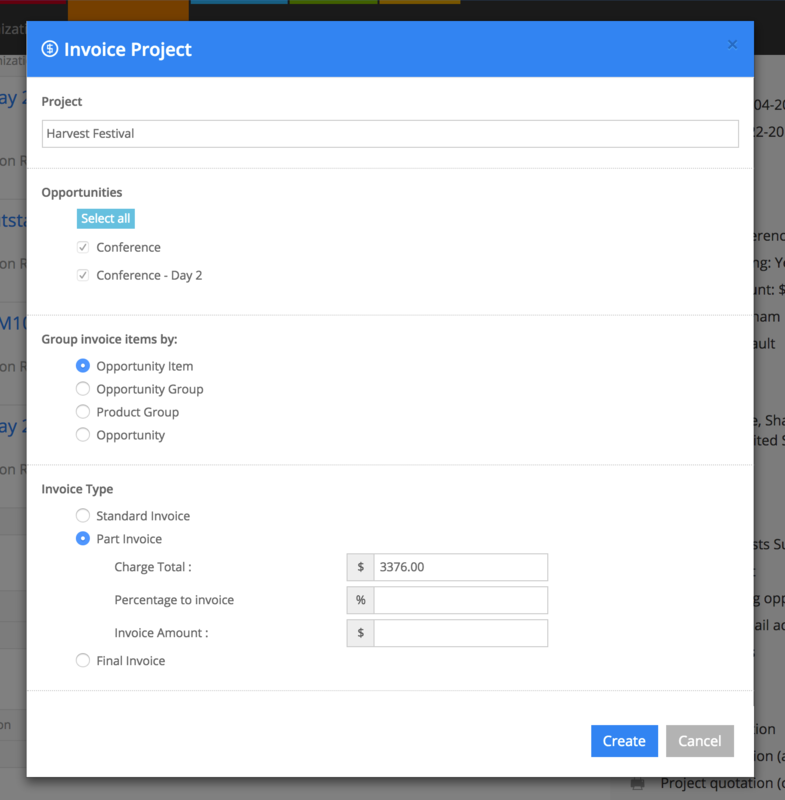 When you’re ready to create a final invoice, open your Invoice Options pop-up by clicking Invoice Project from the opportunity. If you’ve created part invoices for opportunities on a project and created the final invoice for those, we don’t recommend adding additional opportunities to this project. Any further final invoices you create on this project will credit all of the part payments received again.